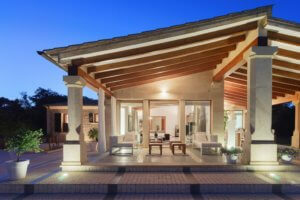 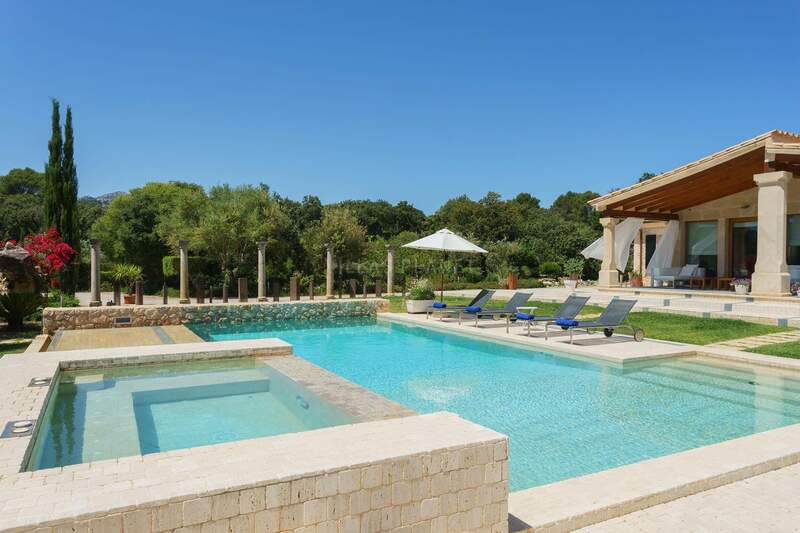 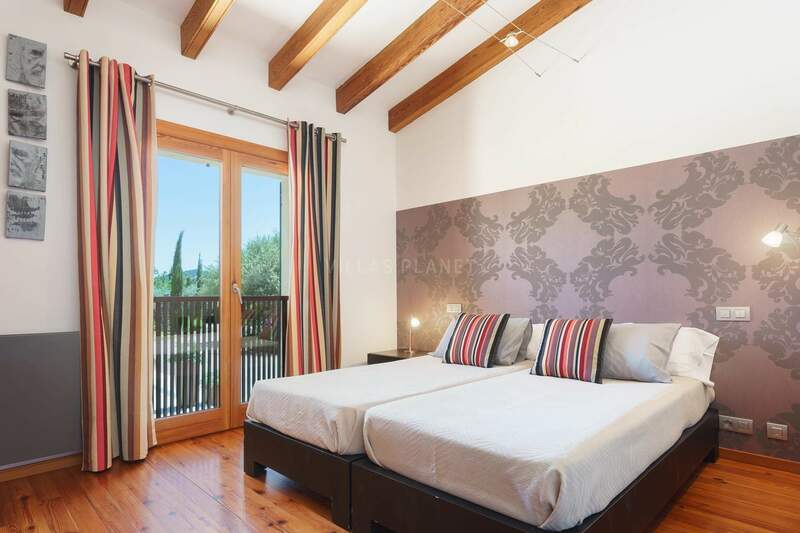 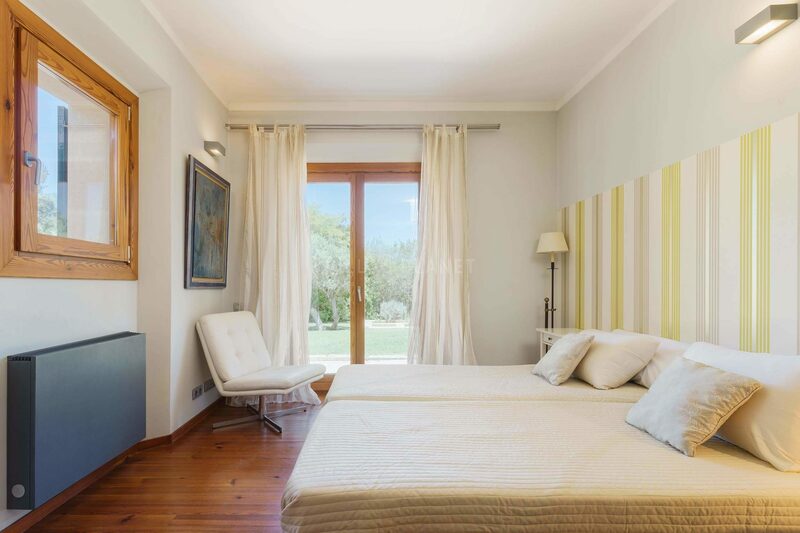 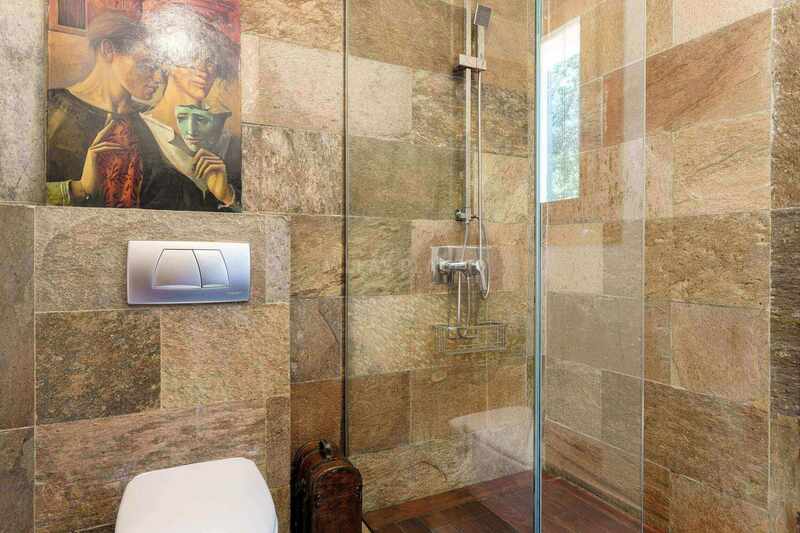 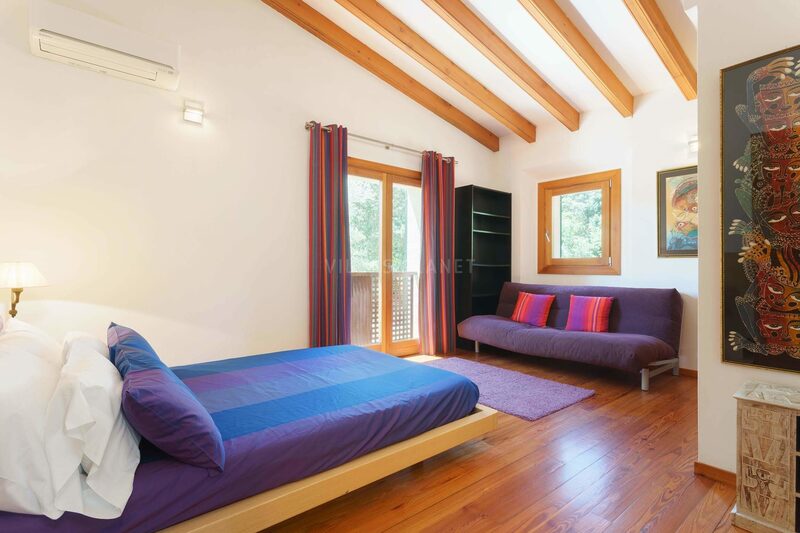 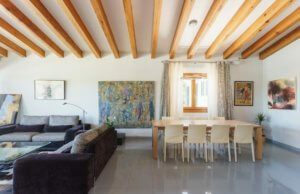 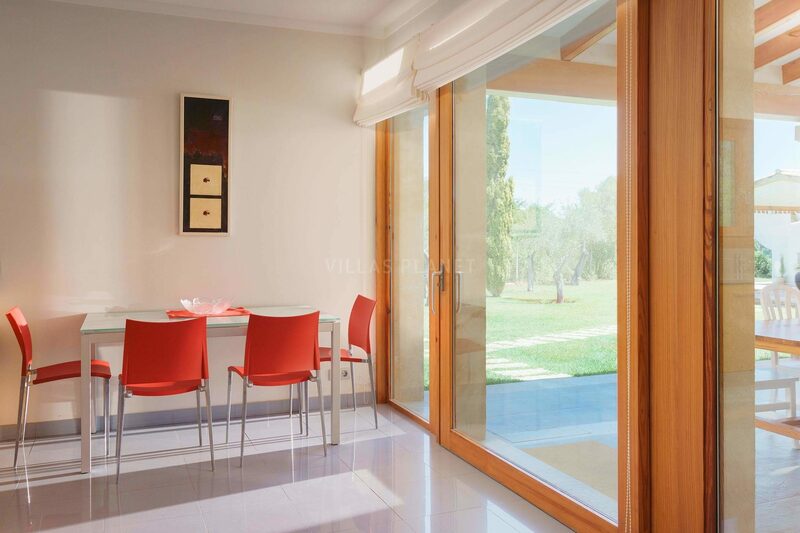 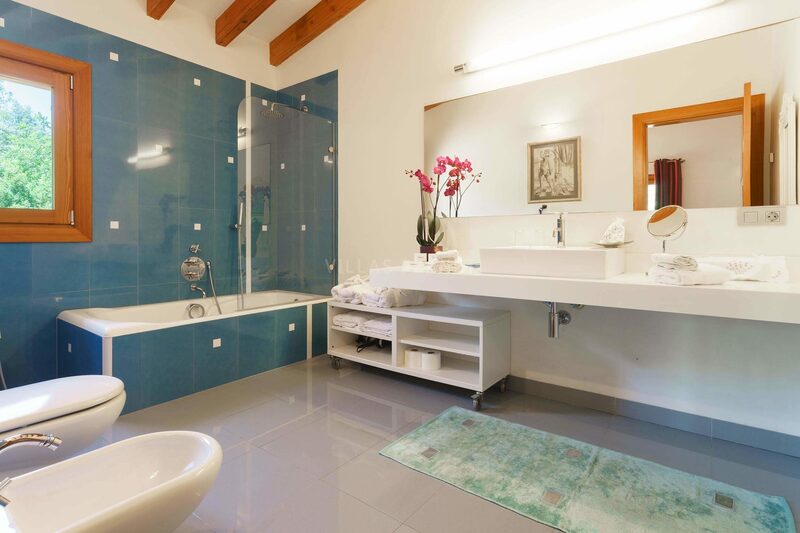 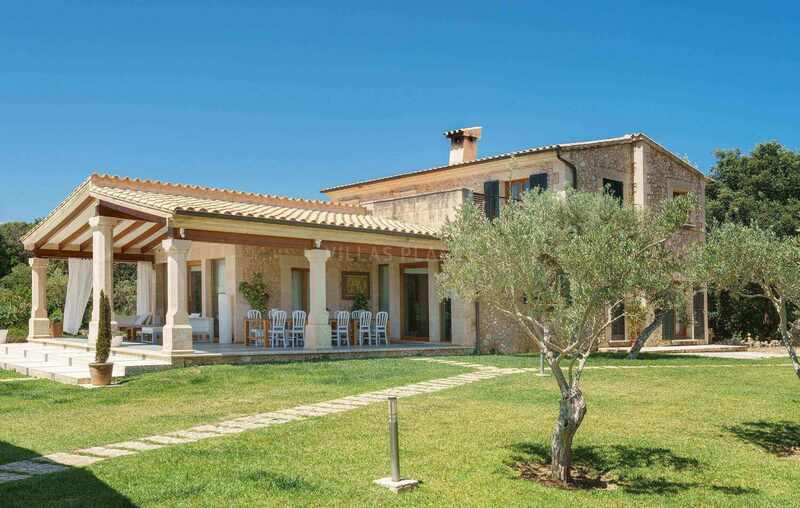 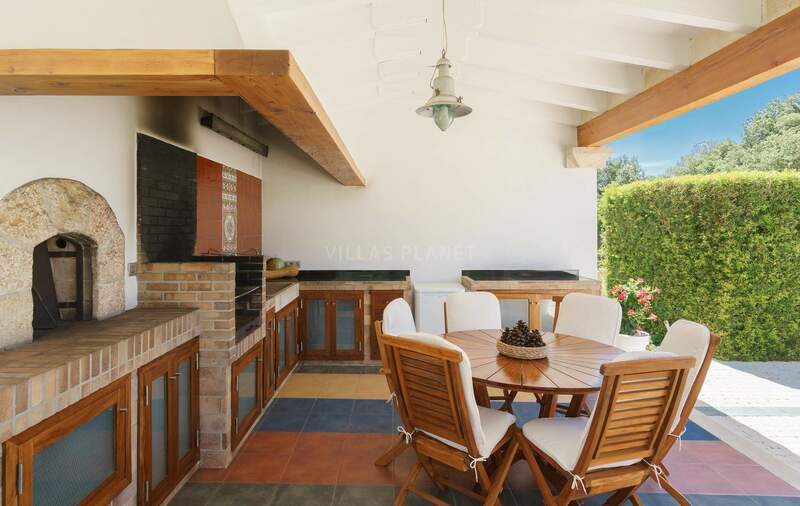 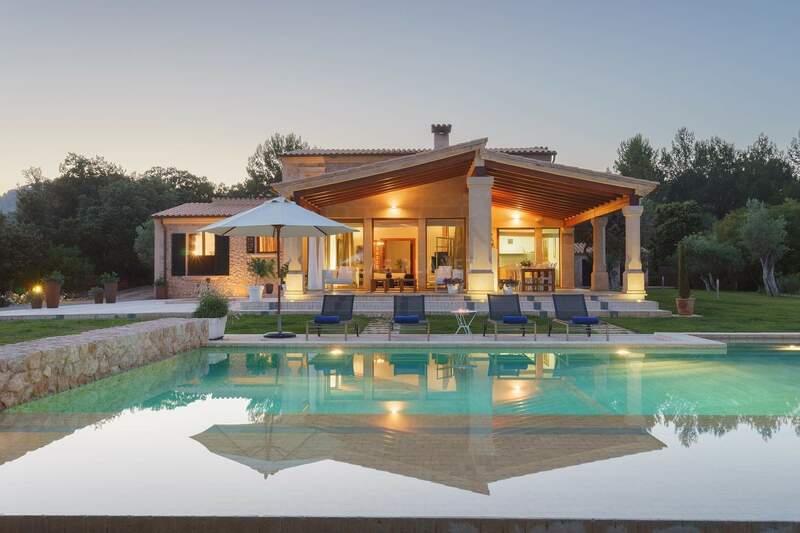 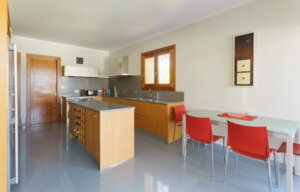 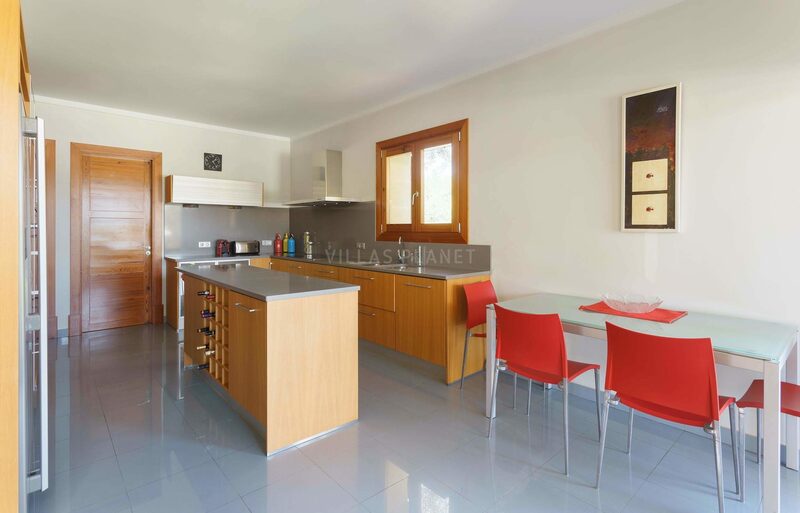 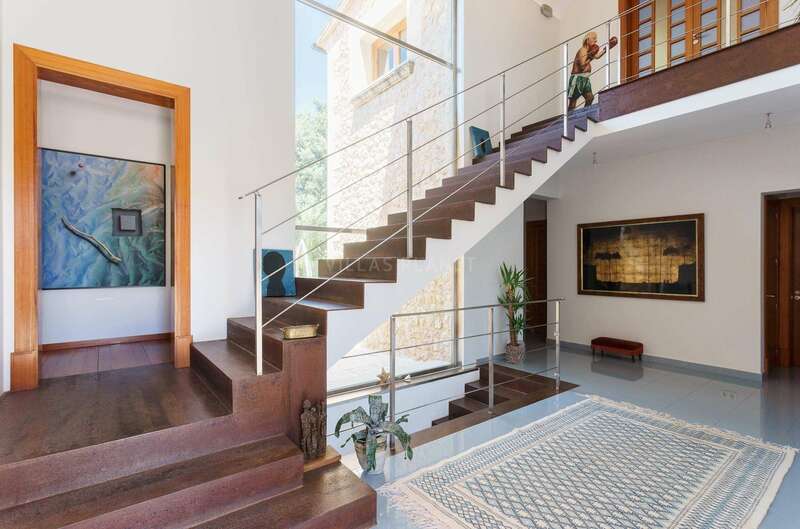 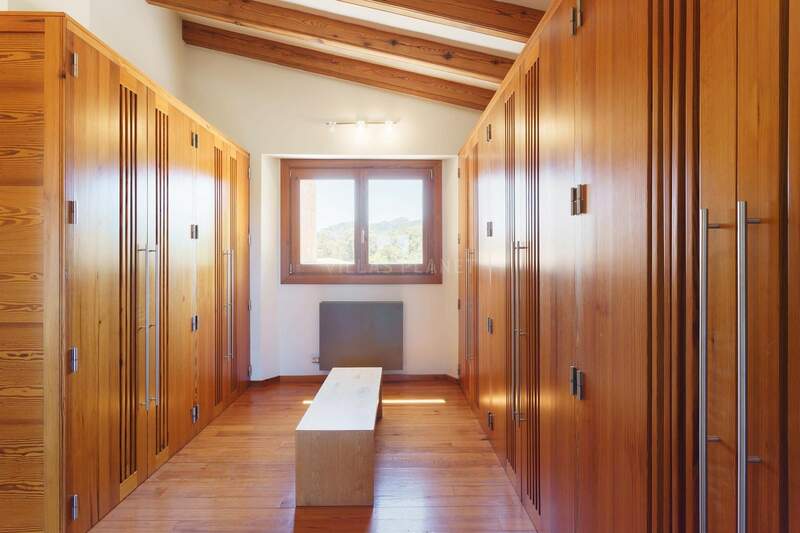 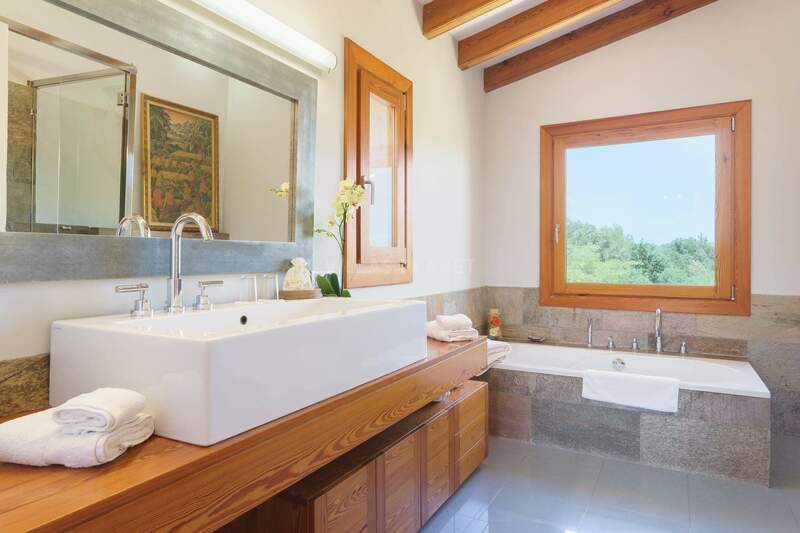 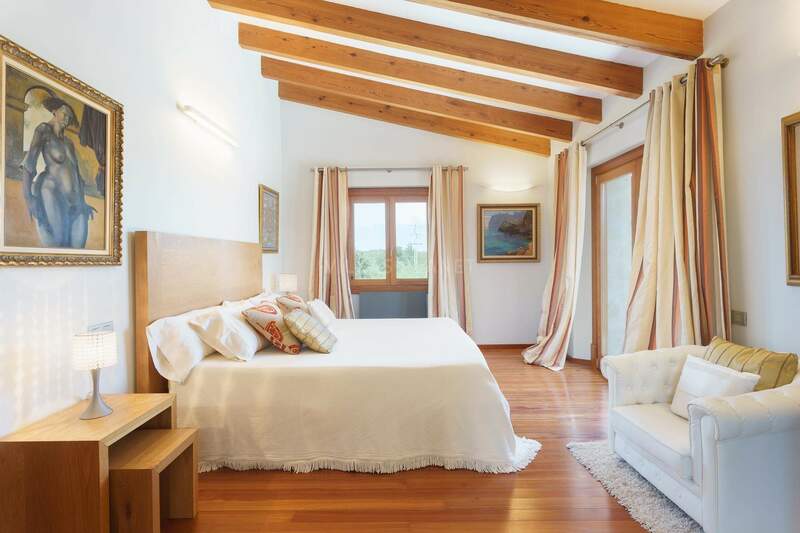 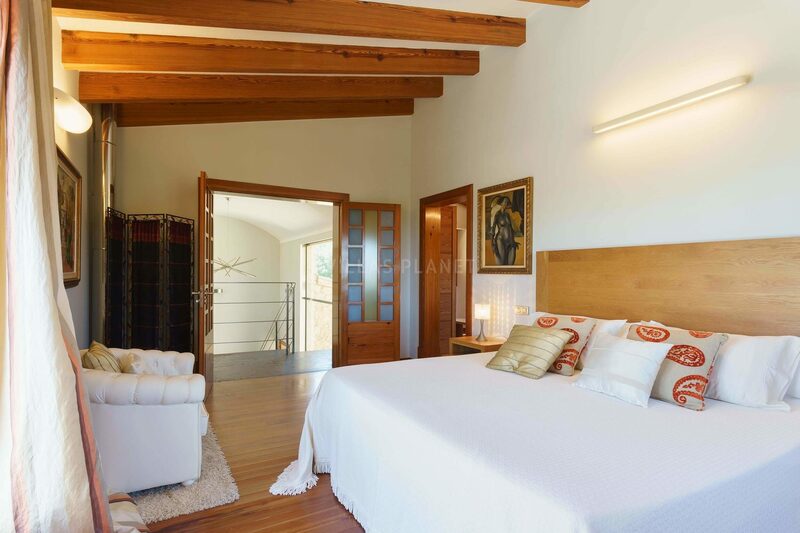 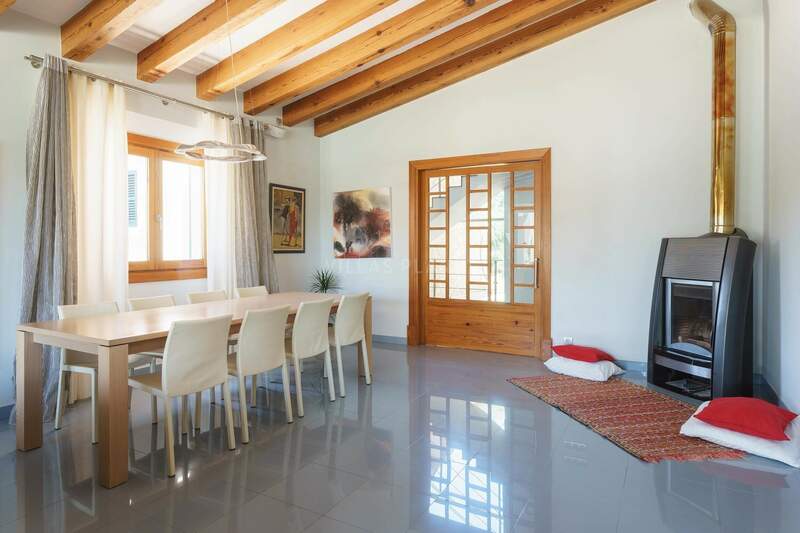 Spacious villa in elegant and at the same time comfortable, situated in a privileged location in one of the most exclusive areas of Mallorca, just 500 meters from Pollensa golf. 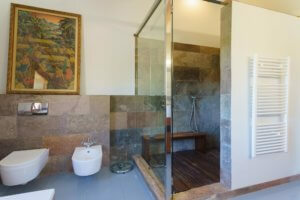 The villa with high ceilings, is divided into two areas, the daily area comprises a cozy living area, fully equipped kitchen, large dining room,and the night area consisting of 4 double bedrooms with bathroom en suite. 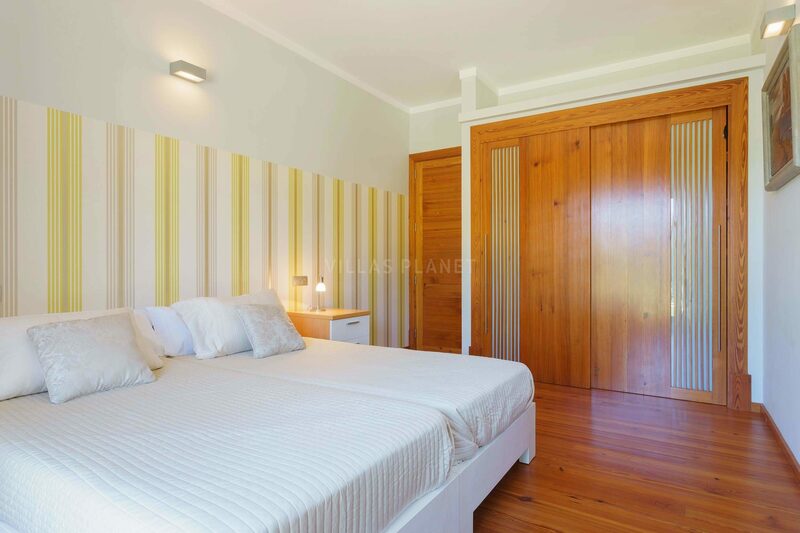 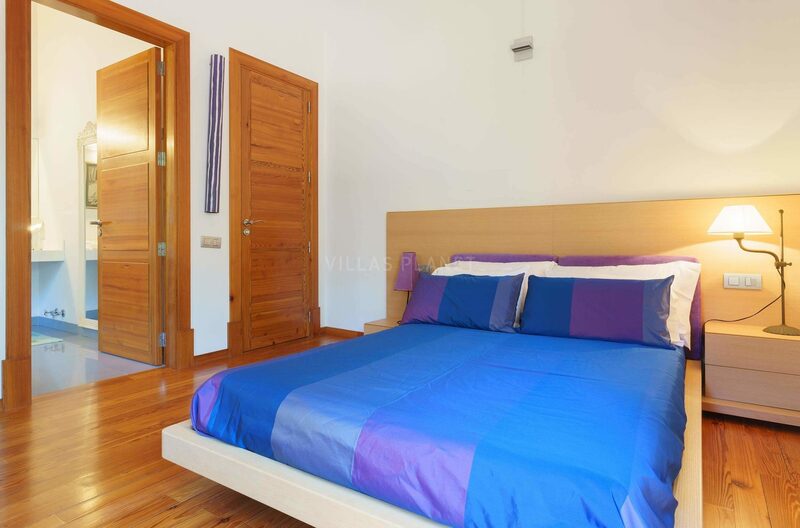 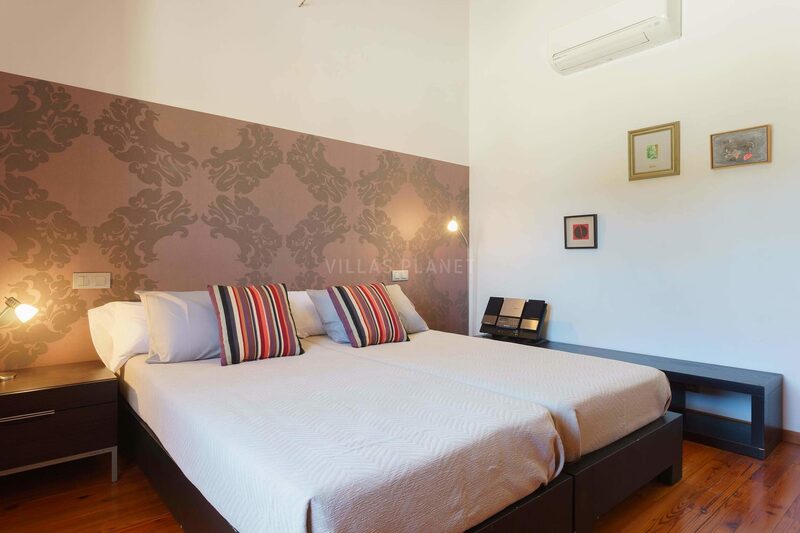 The master bedroom is on the first floor, built exclusively for this bedroom, dressing room, bathroom and terrace, both areas are well connected. 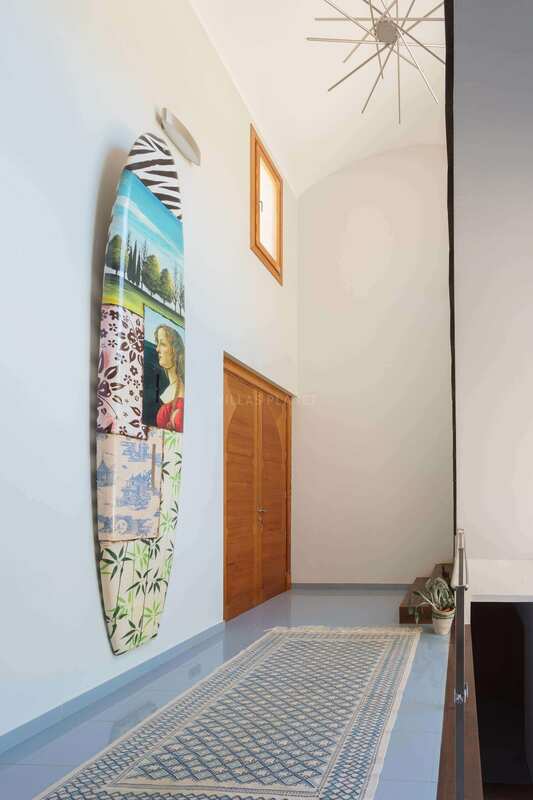 With a high standard decoration, the sublime doors and stained glass window special designs, luxurious furniture from prestige designers and the with a mixture of artwork from very prestigious and well-known majorcan artists. 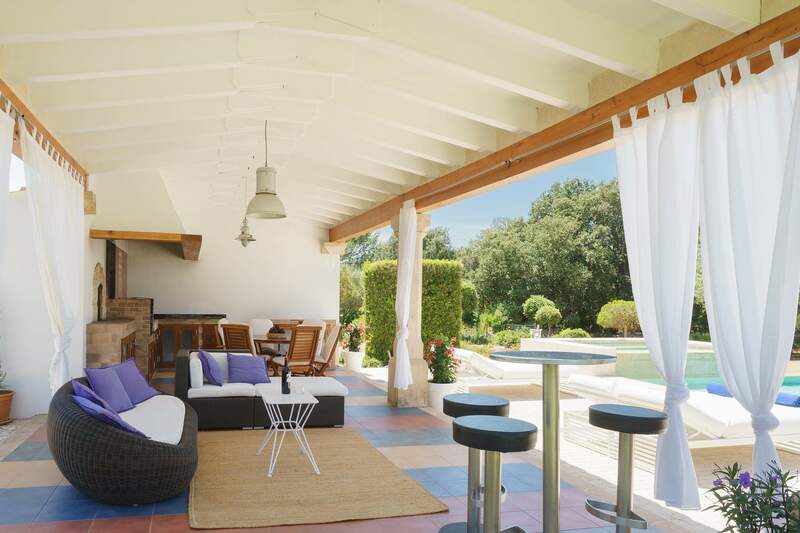 Smart L-shaped swimming pool 12x8m. 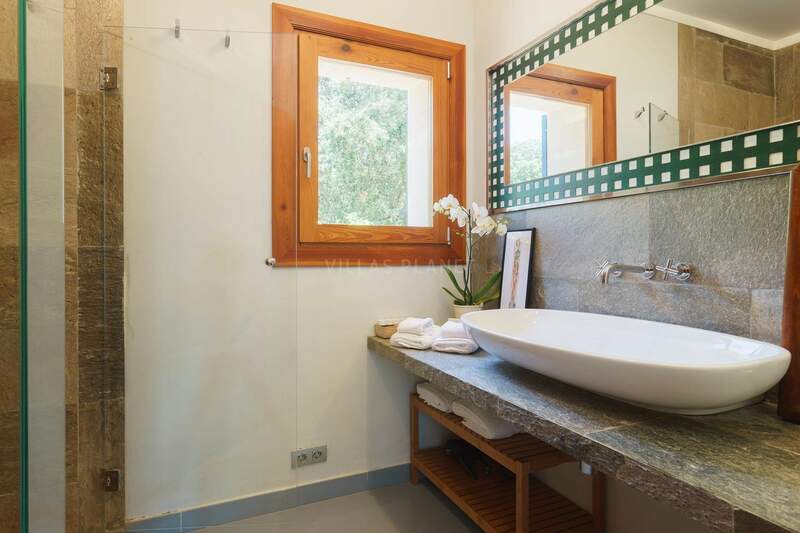 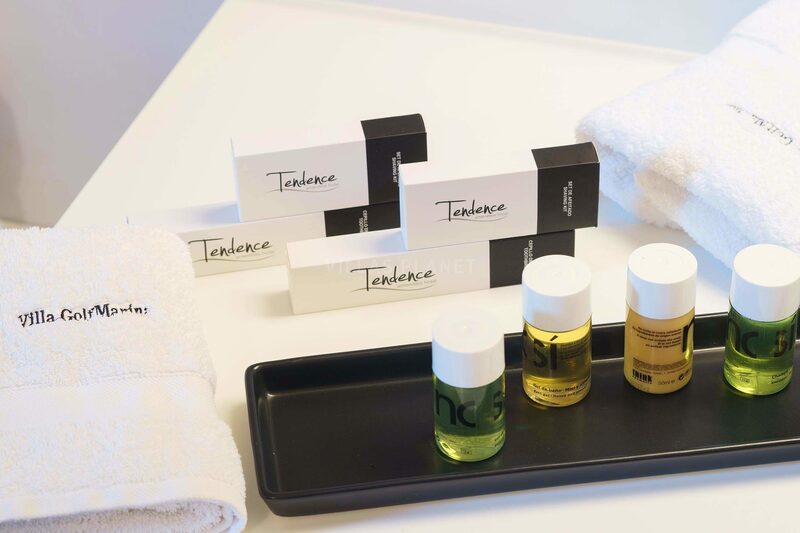 with a cold refreshing Jacuzzi and three marble terraces; one of them it is a wet terrace submerged 5 cm which is perfect for playing with the kids, sunbathing or for having a gin-tonic at sun set. 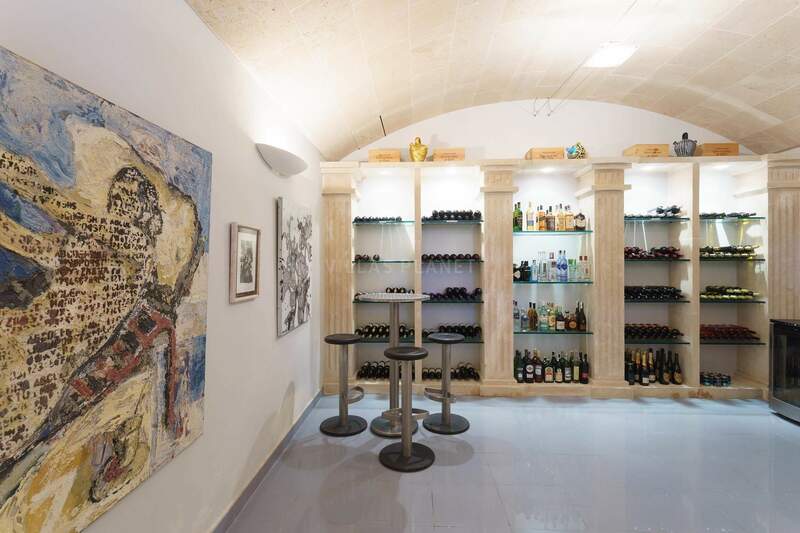 The wine cellar from the hall, going downstairs to the basement that has a perfect temperature and humidity to preserve good wines and spirits. 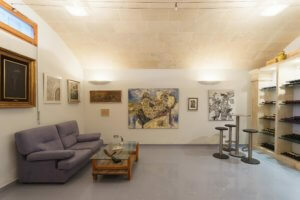 It is built in a vault with Majorcan Mares stone (a mixture of sand and chalk) columns, that makes one remember the antique Renaissance rooms. At the private wine cellar there is a wide range of good Spanish wines and spirits for the enjoyment during your stay. 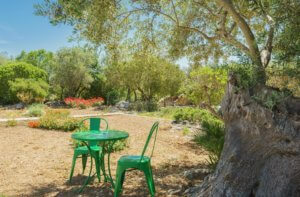 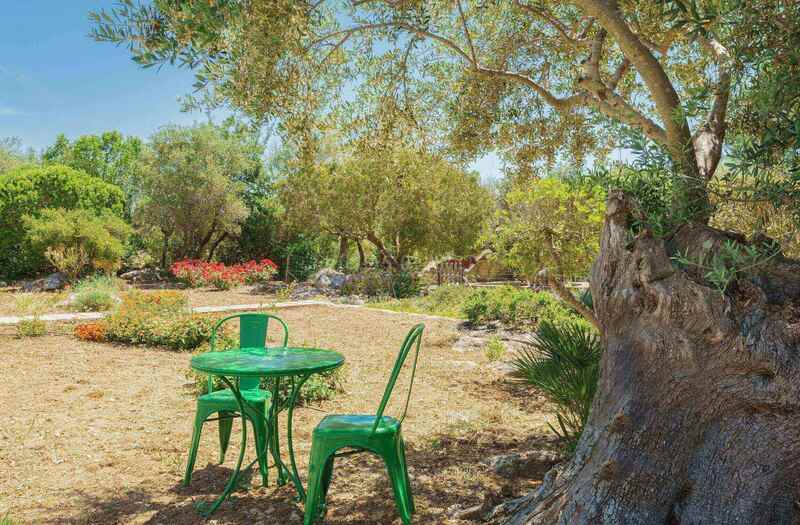 The villa is surrounded by a beautiful Mediterranean garden that boasts a wide variety of colours and flowers; there you can enjoy lovely relaxing walks. 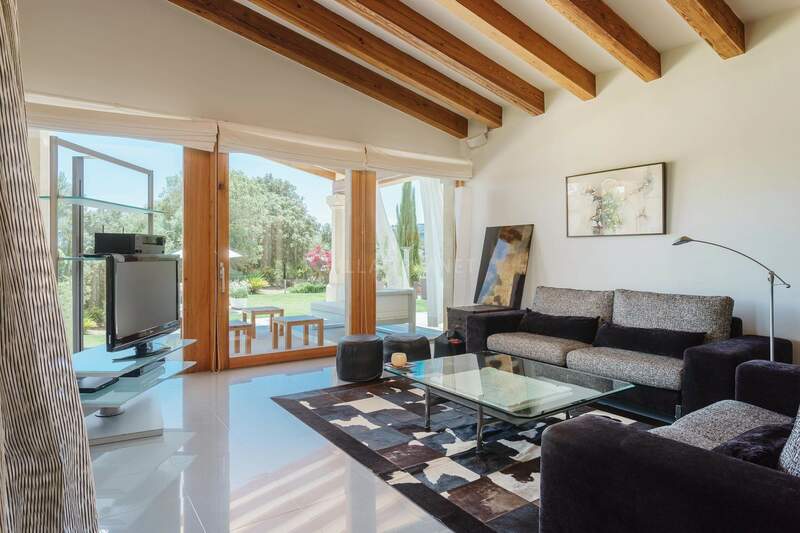 This magnificent property is located 3 km from the town center of Pollensa and 10 km from the best beaches in the north of the island.